This image shows how materials collect where one material meets another and an edge is created. 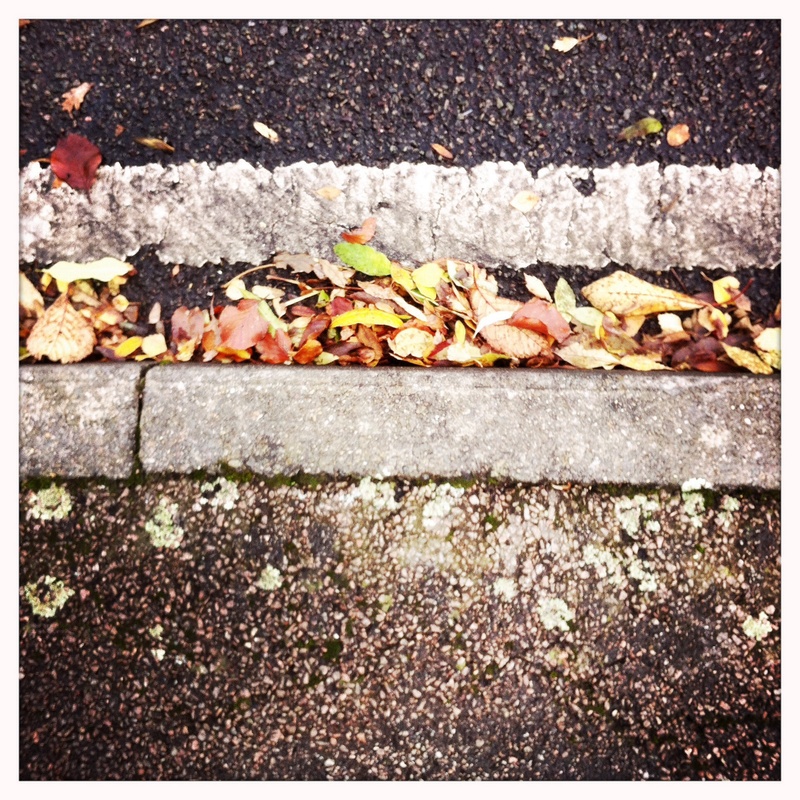 Here fallen leaves accumulate along a kerb. This principle could be applied in a garden, for example to capture materials alongside the edges of a raised bed and add beneficial nutrients to the soil. APPLICATIONS To create a successful garden pond, it is important to consider the edges. A pond with straight vertical sides will be uninviting to wildlife. Whereas a pond with gently curving undulating edges and a variety of depths will create niches suitable for a multitude of life forms to inhabit. Keyhole and mandala gardens are much used in Permaculture. Garden beds in these shapes provide easy access and produce many different spaces suited to different plants. Curved edges are more pleasing to the eye than straight edges and they follow nature more closely too. something we always try to do in permaculture. Personally I have found it challenging to fit curved beds into my garden as it is narrow and long, but I certainly like the theory behind the idea. CHALLENGE I am going to use the edges of my day to be as productive as possible. I plan to use early mornings and the few hours between the kids going to sleep and my own bedtime for exercise and diploma work. These quiet moments are currently under used parts of my day and they have the benefit of providing time for me to be alone. My brain is most active early in the morning, so it’s a great time to write to-do lists and make plans. 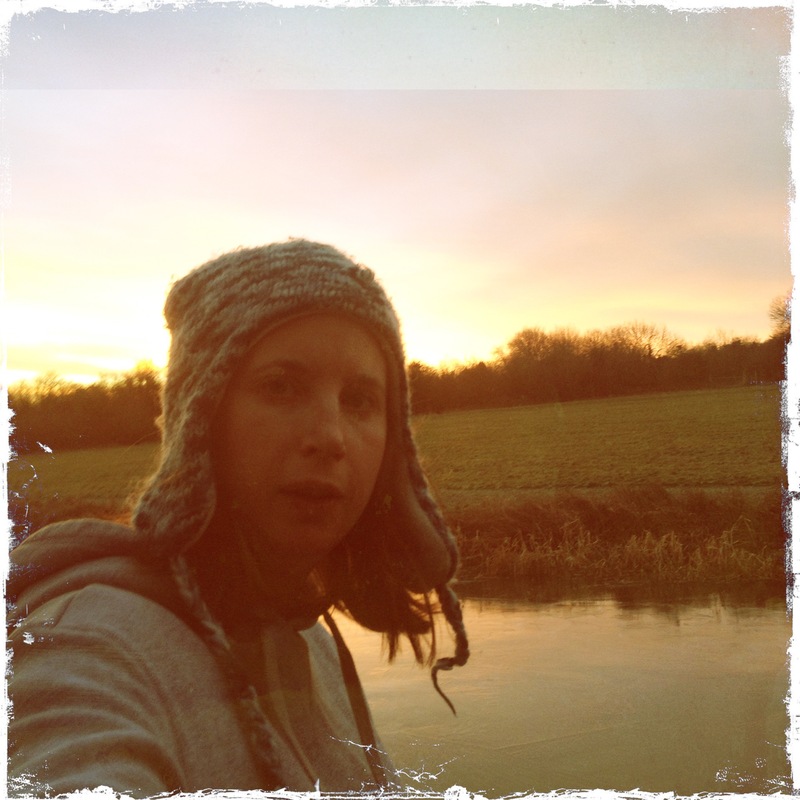 I also find that I have good ideas whilst running, particularly at dusk as my mind is concentrated on the task at hand and the general brain-chatter is silenced. However I must remember to write down my ideas as soon as I arrive home before the daily chaos rushes in again. Another challenge for this month is to push myself to the edge of my comfort zone. When you stretch yourself, important things can happen. When you run a little faster or further than you are really comfortable with, something amazing happens, you get fitter! Likewise when you take on an uncomfortable challenge, such as attending a scary meeting or daring to speak up against an opinionated friend, you find new strength and confidence in your own abilities. Another thing I want to do is try to overlap some of the projects that I am working on to create new edges. Lots of my activity has areas in common, such as the outdoor playgroup and Forest schools training. Both are involved in helping children engage with nature. So rather than keeping these parts of my life apart, I hope to ‘Integrate rather than segregate’ and join up my thinking. I hope this will make my life easier and create new abundant edges, sparking off new ideas and creative ways of working. This entry was posted in Uncategorized and tagged Bill Mollison, David Holmgen, Edge effect, Holmgren principles, Looby Macnamara, Mollison principles, Photography, productive gardens, Raised-bed gardening, Running, Twelve principles for twelve months, use edges and value the marginal by emilycrofton. Bookmark the permalink.